Scientists have found an overlap between people who believe in fake news and religious fundamentalists, dogmatic people and those who harbor deluded ideas. We've all heard of kids ordering stuff from their parents' Amazon Prime accounts, but it's often just a false alarm — shipments thwarted in the nick of time. 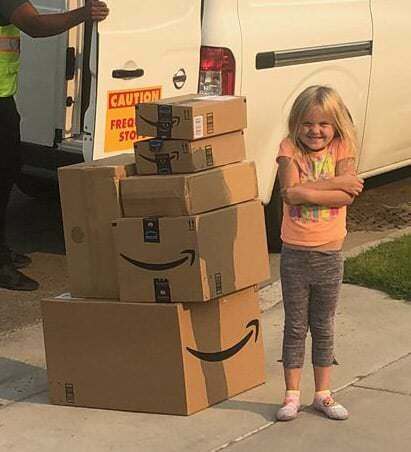 That wasn't the case for Caitlin, a cunning 6-year-old in Arizona who, after being allowed to order one Barbie doll for her birthday, asked her parents if she could log back on to the site to see when her gift would arrive. That's when the little girl helped herself to dozens of toys, video games, and board games. A new lawsuit claims that a program meant to provide mentorship and guidance for students in Riverside County, California, is actually funneling them into the criminal justice system and violating their constitutional rights. On July 1, the American Civil Liberties Union, on behalf of four plaintiffs, filed a federal lawsuit against Riverside County, as well as two leaders of the county’s probation department, over the Youth Accountability Team program. The program, run by the Riverside County Probation Department, counsels local “at risk” youth and administers a six-month supervision period, intended to divert them from criminal activity. An American Airlines passenger became unruly after being denied more drinks on a flight from St. Croix to Miami. CNN's George Howell has the details. Americans have always hit their kids. Now, the majority of research says it’s time to stop. In the U.S., more than 160,000 school children were beaten with a paddle during the 2013-2014 academic year. It was 50% more likely to happen to black children or kids with disabilities. 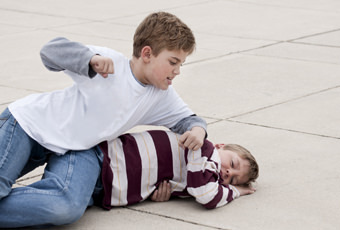 Nineteen states still allow physical punishment in schools and, in 2012, more than 70% of Americans agreed that it is sometimes necessary to give a child a “good, hard spanking.” The United States is the only country in the United Nations that hasn’t ratified the 1989 U.N. Convention on the Rights of the Child. Research says it needs to stop. The truth is, Americans are very much in favor of spanking. That’s despite decades of strong evidence that it puts kids at risk for serious psychological and developmental issues, and with no real silver lining. On Tuesday, a Tampa Bay craft beer bar and pizzeria stuck a controversial sign on its doors. It read: "NO CHILDREN." No, the owners of Hampton Station were not advertising their love of the classic Mountain Goats song; rather, they were implementing an informal kids ban. The backlash was extraordinary, reports WKRG. "I definitely think that sales are gonna take a dip,” Hampton Station owner Troy Taylor told WKRG. "We had an incident last week where some kids were endangering themselves and others. I haven’t got much sleep the past four or five days really, because of this. ‘Cause this is my livelihood." Cyberbullying continues to be a major problem. In fact, four in ten U.S. adults say they've been harassed online. According to a new study from the Pew Research Center, online abuse is as rampant as ever, despite efforts by major tech companies like Facebook and Twitter to cut back on trolling and bullying. The study, which was conducted among 4,248 U.S. adults, revealed name calling and embarrassment as the most common forms of online harassment. Among those who've been harassed, about 18% of U.S. adults said they have been the target of severe behaviors such as physical threats, stalking and sexual harassment. About 66% said they witnessed harassing behavior online -- not surprising since much of the bad conduct occurs on public social media platforms. They thought it would be funny: During lunch, the boys threw peanuts at a fellow student with severe food allergies. The Los Angeles area fifth-grader was so sensitive to nuts that exposure might send him to the emergency room. He said: “No, stop. That could kill me.” When he turned away to talk to a friend, one of the boys stashed peanuts in the container that held his lunch. Seeing the nasty trick, the allergic boy’s friends quickly grabbed the container and threw it away, possibly saving their friend from a terrible accident. This incident from 2015 appeared on a website for families dealing with food allergies. The mother of the bullied boy was interviewed for this story but spoke on the condition of anonymity because of privacy concerns. Los Gatos High School in California is under fire after details of two racist prom proposals surfaced on social media. One student proposed to his date wearing blackface, and another used a drawing depicting lynching to ask his date if she wanted to “be like a N****r and hang at prom,” NBC Bay Area reported. The school responded to the controversial “promposals” with a statement and letter to parents. “Did I call you a n****r?” the teacher is heard saying. Parents have a lot of responsibility. Mainly, keep the kid alive. Next, try to raise a decent human being. And the messages about media and tech start almost from the moment they're born: TV will rot your kid's brain! Video games are evil! Kids don't know how to have conversations anymore! 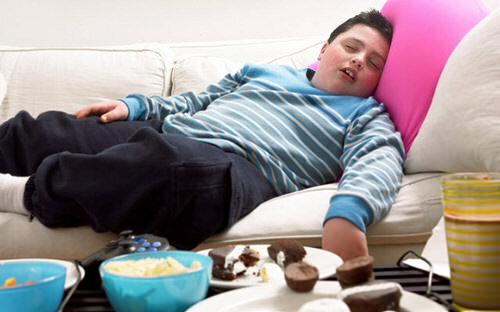 It all boils down to the idea that too much media and tech will ruin your kid -- or make them fat, dumb, and mean. But obviously that's an oversimplification. The truth is more complicated -- and a lot less scary. Here we break down the scariest media and tech rumors and give you some solid research and simple, no-stress advice. In elementary one school, no one will be 'it' because the age old game of tag has been banned. Gold Ridge Elementary in Folsom, California sent a note home to some parents banning the game of tag in the school's playground during recess. 'In this case, kids were getting too rough…so the school told them to stop playing those games…It's not uncommon for a school to enact specific recess rules to address specific behavior problems,' Folsom Cordova Unified School District and Spokesperson Daniel Thigpen told the outlet.